Nomus Gateway e RB Router Bridge is a very cost-effective and flexible way to connect your LAN to the Internet, HQ or Branch Offices. It integrates the functions of Bridge/Router with the WAN device. A choice of WAN Interfaces such as xDSL modems, E1 and V.35 Interfaces are supported. It can be ordered as 1 WAN or a 2 WAN device. The 2 WAN device can be used to connect to different remote locations from a central location. 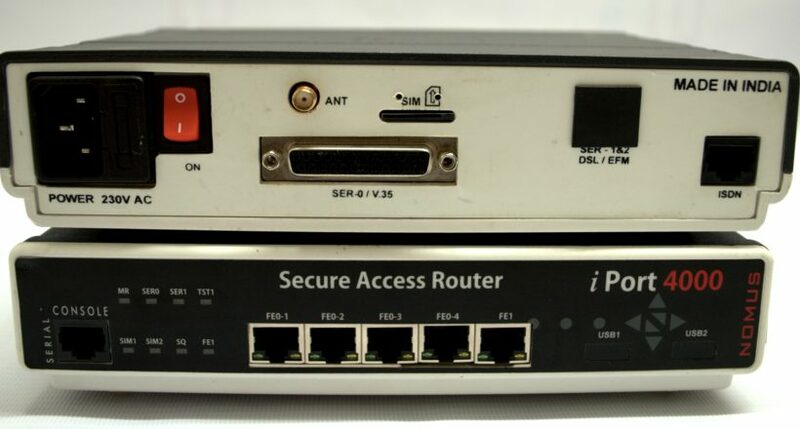 The Nomus iPort 4000 is a Secure Access Router with 4 WAN ports. It offers a choice of last mile access technologies such as SHDSL, E1, V.35 or Fast Ethernet. Bandwidth bundling allows high-speed access with redundancy. It offers redundancy over the WAN Ethernet Port using PPPoE Client and an external Ethernet Modem. LAN access is via a 4 Port Fast Ethernet Switch. The WAN Ethernet port can be used as for DMZ operation. 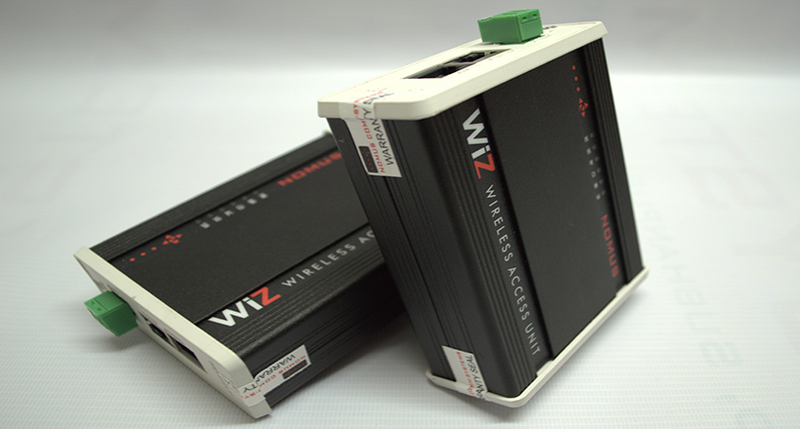 The NOMUS Gateway WiZ is an economical Wireless Access Device that provides a 2-way data transmission over a public GSM/GPRS/EDGE/HSDPA or a CDMA cellular network. It supports a Serial data port or an optional Ethernet port.When equipped with a serial interface, NOMUS Gateway WiZ provides a transparent data channel over the wireless network for a wide variety of remote monitoring applications..